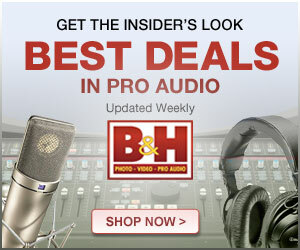 - Please compare the Zoom F8 vs the Sound Devices MixPre-6? - What are some good audio recorder options for a solo operator for even shoots? - Why is my carefully normalized audio suddenly start clipping when I bring it from Audition to Premiere? - When I have a dual mono clip, should I drop one of the channels before processing the audio? - Will the NTG2 work ok with the Tascam DR-60DmkII in terms of noise performance? - When should I use faders vs gain trim? - Tips for recording 2 person interviews with one shotgun microphone? - What are the general steps for processing recorded live music? - What is the difference between Dialogue De-noise, Spectral De-noise, and Dialogue isolate in Izotope RX6? - Should I always use the high pass filter on my microphone to eliminate low frequency noise? TOMATOFACE - Ad for Texas Beach Bloody Mary Mix. Cast of four demonstrates the legend of saying ‘Bloody Mary’ three times. Production Sound Mixer, boom and four wired actors, camera audio feed and timecode to Alexa Studio camera. T/I - 48HFP short film entry. Production Sound Mixer, boom and four wired actors. RED One camera with timecode and audio link. Maybe Tomorrow – A short film. Production Sound Mixer. Six actors with wireless lavs, two booms, sound crew of three. Alexa XT camera, audio feed and timecode. Battlefields of Astral - A web pilot for six-part series about card gamers, misperception and reality. Production Sound Mixer, boom and four wired actors, camera audio feed and timecode to Sony NEX-FS100 camera with Ninja Assassin video recorder.